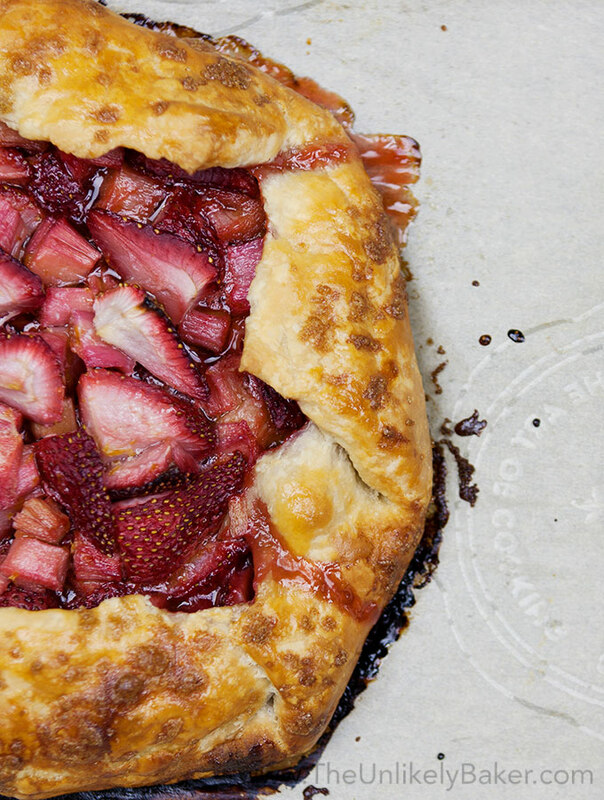 Celebrate spring with this quick and easy strawberry rhubarb galette. Enjoy a slice faster than you can say pie! Perfect with ice cream. Despite the…less than ideal (ok, mostly horrible) weather we’ve been having (we had frost warnings not too long ago), it is technically spring and I know that’s true because I’ve started to see rhubarb pop-up at our local grocer. And rhubarb always means spring, regardless of what it looks like outside! So I grabbed a bunch and thought I’d make a pie but the lazy baker in me won again so I made a galette instead. (I do love galettes. Check out this recipe for Delightfully Rustic Apple Galette or this recipe for Mini Cherry Galette.) 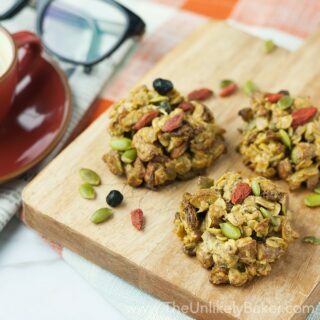 Quicker and easier to make than pie but just as delicious! 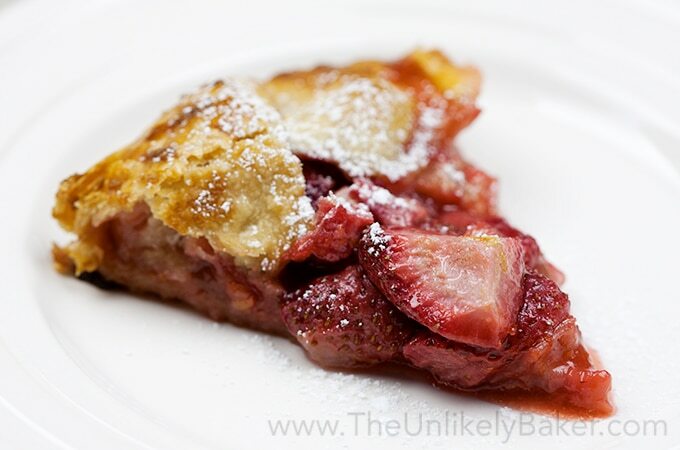 And this strawberry rhubarb galette is no exception. Rhubarb is a vegetable (when I first bought it I thought it smelled a lot like celery) but I don’t think people care about that as it’s typically prepared like fruit and used mainly in sweets and desserts. Its leaves are toxic so they are usually sold with leaves already cut off. If you chance upon ones with leaves, cut them off right away before you use or store them. Want to enjoy rhubarb off-season? Great news: rhubarb freezes beautifully. Just wash, cut into 1/2 to 1 inch pieces, let dry thoroughly (very important step! ), and put in freezer bags. They last up to a year (sweet!). But no, rhubarb is not sweet. In fact, it’s very tart. You cannot eat it raw (well, you can but you might not want to) so it’s usually cooked with lots of sugar to balance out the tartness. This galette is more on the tart side (I find it’s perfect paired with ice cream or sprinkled with confectioner’s sugar) but you can totally adjust the amount of sugar to suit your tastes. Sweet strawberries help balance out that tartness too. And this is why you see rhubarb paired with strawberries a lot of the time. They are a match made in spring heaven! And it’s so easy to put together. Watch the video above and see just how easy. I made my own crust but you can use ready-made ones and make the process that much quicker. So grab some rhubarb, make a galette and let’s celebrate spring together! Preheat your oven to 400F and prepare a baking sheet lined with parchment paper. 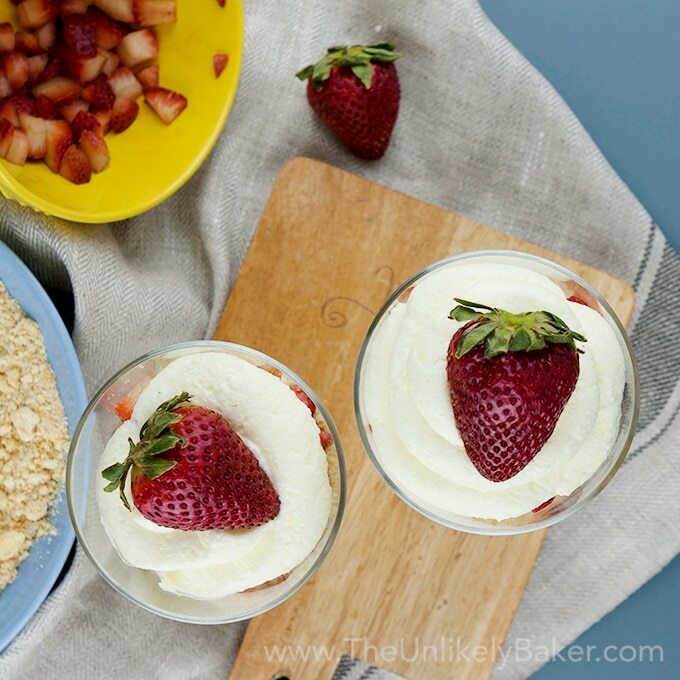 In a large bowl, mix 2 cups quartered strawberries, 1 1/2 cups sliced rhubarb, 1/2 cup sugar, 1 teaspoon vanilla extract, 1 tablespoon lemon zest and 2 tablespoons cornstarch. Stir gently to ensure that the strawberries and rhubarb don't turn to mush. Set aside. Turn your pie dough onto a lightly floured surface and roll out into a 12 inch circle (about 1/8 inch thick). Carefully transfer dough to your baking sheet. Spoon filling into the middle of the dough ensuring you leave a 2 inch border all around (be careful not to spoon too much of the juice else your galette will be very runny). Fold the dough over the filling and slightly pinch where the overlaps occur. See video for guide on how to fold your galette. Dot the filling with butter and brush the edges of the galette with egg wash. Sprinkle demerara sugar and bake until the fruit filling is bubbling and the crust is golden brown (about 45 minutes). Serve galette warm. Optionally, you can sprinkle with confectioner's sugar or top with vanilla ice cream. You may need to add more sugar depending on how sweet or tart you want your galette to be. 1/2 cup results to a galette that's more on the tart side. 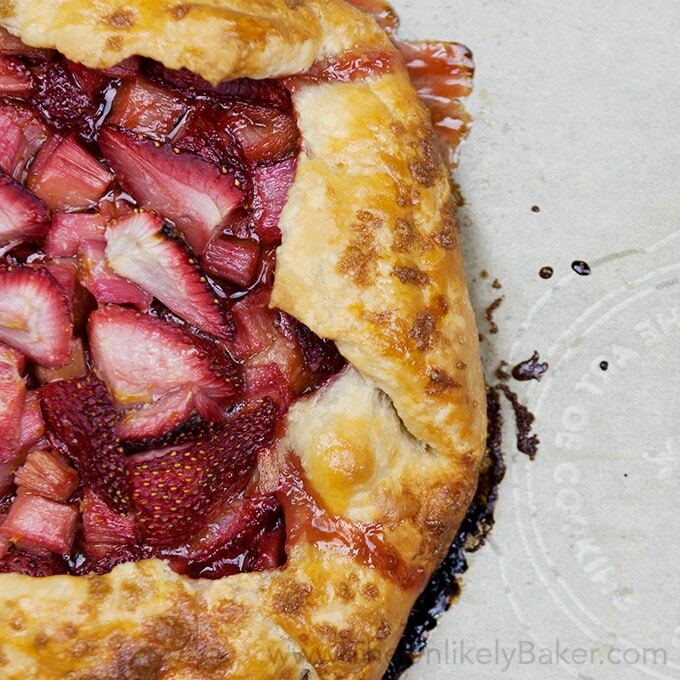 Did you make strawberry rhubarb galette? I’d love to hear from you in the comments section below. BTW, you might have been expecting our usual recipe round-up to close out the month. I’ve decided to make that a quarterly thing and since we already did one for this quarter, the next one will be in September. Watch out for it! In the meantime, all our recipe collections are here. OK, I always thought that galettes were WAY more complicated than this (I mean, it sounds so… fancy!) but watching your video made me realize that it’s super easy! Looking forward to making this myself. Hi Megan! They are super easy and definitely WAY easier than pies 🙂 Hope you get to make galettes this spring/summer! It works so well with berries and summer stone fruits. Rhubarb is amazing!! I need this now! This looks like a delicious spring galette! I love making galettes and as popular as rhubarb is here, I haven’t ever cooked or baked with it at home. I need to make this! My pleasure! Would love to hear how to hear how it goes. I a totally intrigued with this gallete recipe. I cannot wait to try it asap. 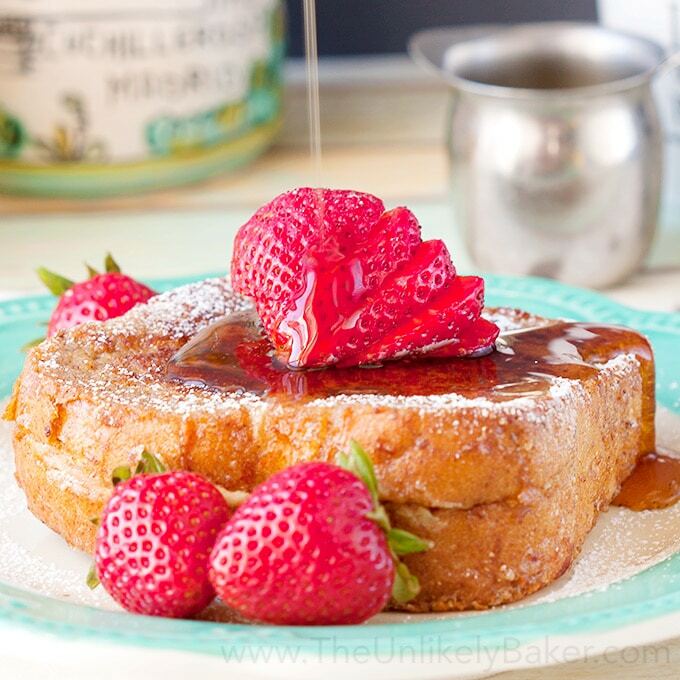 Goodness, that looks just divine! This looks delicious!! 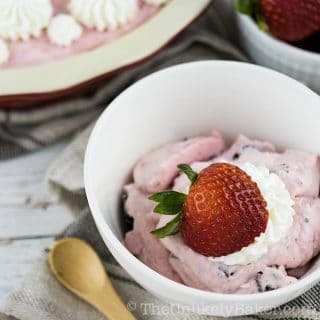 I love anything with strawberries – I need to make these! Perfect for summer! 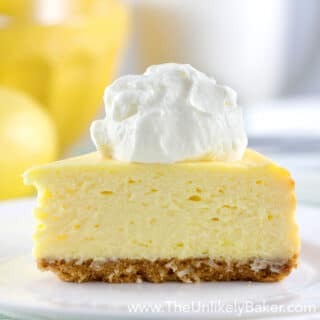 This pie looks so delicious!!! 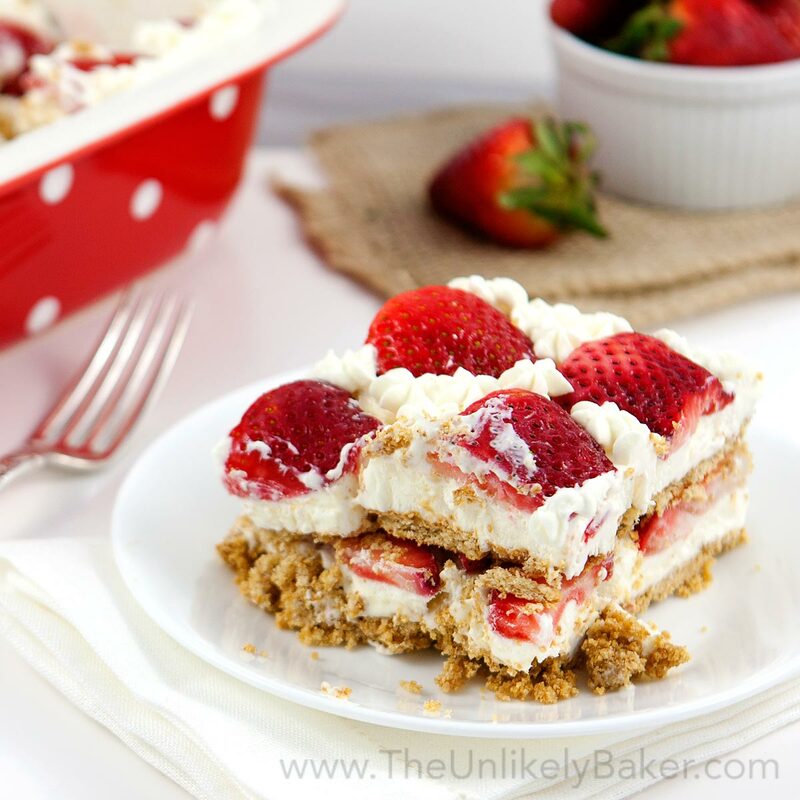 I love strawberries so I’ll definitely be trying out this recipe! Your pastry looks incredible. So golden, crispy and perfect! That looks crazy delicious! I love the step-by-step video too! I’m sitting here drooling! Can’t wait to make this. Thanks Dani! Hope you and your guests like it. Hi Annemarie! I’m sure you’ll do great 🙂 Let the video guide you, you’ll see the steps are super simple. You can even use ready-made dough. Hope you and your mom like it! This looks delicious. I love rhubarb and strawberries. It looks so fresh and yummy! The popsicles look great, too. Oh my goodness, this looks so good! I will have to try it soon. Mh Mh Mh I looove strawberries. 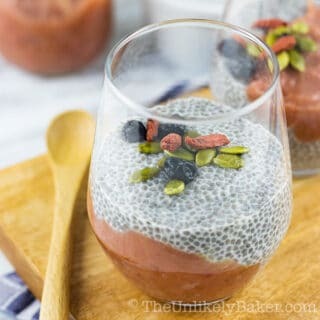 I will definitely try this recipe because it looks delicious and very easy to make. Thanks for sharing. I love this idea. I usually make a peach galette. 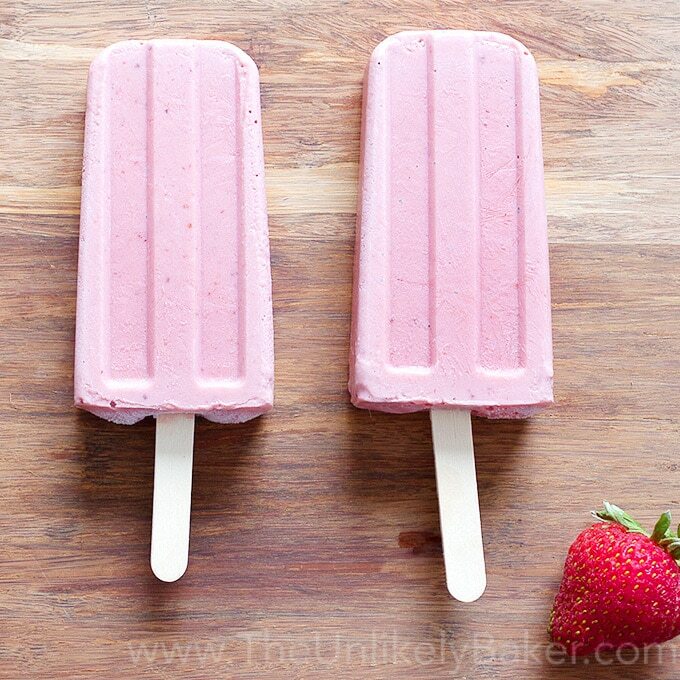 But I’d love to try it with rhubarb and strawberry. I have always wanted to make a galette! Thanks for sharing, it looks delish!!! I think summer’s the perfect time to make them, it’s a great way to make use of summer fruits. Hope you get to make some! OMG, this looks so delicious. I’ve actually never had rhubarb before, but its constant pairing with strawberries has me more than willing to try it! Maybe this recipe will inspire my first attempt at cooking/eating rhubarb! Hi Beth! I’m pretty new at this rhubarb business too 🙂 I found that I like it, even though it’s unusually tart for a “fruit” (well it’s actually a vegetable lol). Hope you get to try it this season! I’ve been getting more and more into rhubarb recently and this galette looks amazing! I love making galettes as I love their simplicity and how you can fill them with anything; yours looks awesome! Thanks Annie! 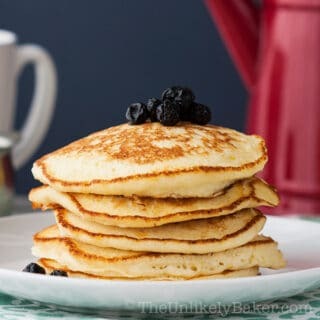 I love galettes too, so much simpler than pies 🙂 And summer is the perfect time to make them I think with all these fruits…hope you get your fair share of galettes! Right?? I thought so too lol. Learning something new everyday! LOL thanks Hannah! Thought the fact it was toxic was pretty important information 🙂 Hope you’re having a lovely week! Looks fantastic ! Believe it or not I have never had a galette. It’s about time I go get me a slice don’t you think? My husband loves strawberry rhubarb. I’ll have to try this one on Father’s Day. Thank you! Nice! Hope you and your husband like it 🙂 Have a fantastic Father’s Day you guys! Now you’re just making me jealous Gina LOL! I have to hunt for rhubarb around here it’s like a unicorn 🙂 This galette has strawberries in it so maybe your husband will try and hopefully like it! I’ve always wanted to try baking with rhubarb! This is the perfect recipe to try it out! Absolutely! It’s super easy 🙂 Hope you get to try it Sabrina! This dessert looks delicious! I like combinations of a fruit and a vegetable! I love galettes so this is right up my alley. I bet the flavour of this one is amazing. What a yummy looking dessert. 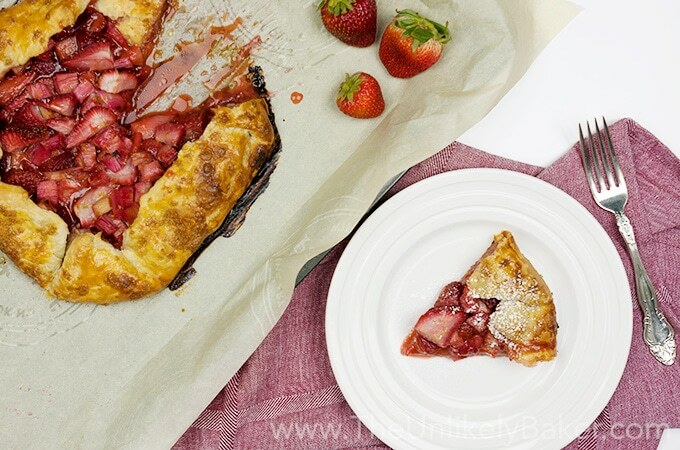 That strawberry rhubarb galette looks super tasty and pretty easy to make! Oh, man! This looks so yummy. I really love your video. I want to do videos like this. Thanks for the inspiration. this galette looks incredible and really easy to make. I am such a rhubarb fan and love rhubarb strawberry pie but I am too lazy to make this looks like it is very doable. If I could master a gluten free version, totally would make it. 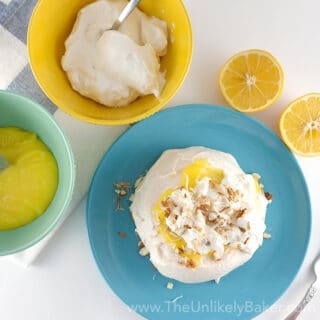 I love desserts that are sweet and tart! This looks sooooo perfect for summer. I love the video too! Hi Dominique! Me too! I think it’s why I love lemon desserts 🙂 If you get a chance to make this galette, try it with vanilla ice cream. So good. Simple process, and looks tasty! Yum. WoW! This is pretty straight forward … this will definitely go to my to do list. I love that you now have video in your blog. It makes it more inviting to follow your recipes. Thanks Robin! I’ve been wanting to make videos for a long time…I think I’m getter better…maybe lol. Hope you’re having a happy week so far! This pie looks delicious. I’ve always been a huge fan of fruit pies that are made fresh at home. It must pair perfectly with a tall, cold glass of milk. Fruit pies are one of the best things about summer IMO 🙂 I usually pair mine with ice cream! This looks so good! I will have to see if I can make it! Thanks so much for sharing. Girl, it has been so cold around here. Like, it feels like fall! That hasn’t stopped us from grilling our little buns off this past weekend, lol. The rhubarb in the garden is a long ways off, but I will happily pick some up at the grocery and make this beauty. Love the informality of it (totally doable for me). Bet this is awesome with a big ol’ scoop of ice-cream! Have an awesome week, Jolina! Hi Dawn! It’s been warm-ish in these parts but have you heard about the rain and the flooding? 40% of Toronto islands are flooded and are closed until July 31 it’s crazy! And you know what else is crazy? You having an abundance of rhubarb in your garden lol!! So jealous. I always have to hunt them down then proceed to hoard HAHA oh dear. Hope you’re having a happy week!